The Last Chance Qualifier will be held on Sunday, May 27th, beginning at 12pm EST. The rules for the tournament are exactly the same as a regular ETS Weekly (Swiss Tournament, cut to Top 8) with three exceptions. Firstly, the Last Chance Qualifier does NOT award Invitational Points – Points totals are locked before the Invitational. Secondly, the Last Chance Qualifier will be inviting FOUR players to the Invitational, so once you reach Top 8, win once and you’re in. Finally, players who have received an Invitational invite are not eligible to play in the Last Chance Qualifier, and will be disqualified from the LCQ if they register. Registration for the Last Chance Qualifier is open now. 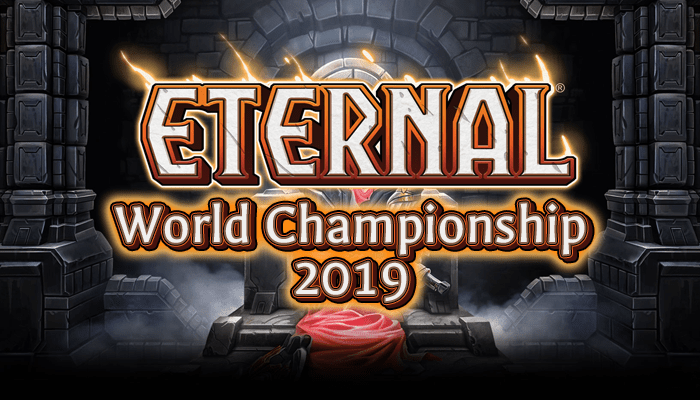 We will be streaming the LCQ live on the aReNGeeEternal twitch stream, starting shortly after Noon EST. The 2018 Season Two Invitational will be held over two days, beginning on Saturday, June 2nd and continuing on Sunday, June 3rd. This year, we’re using a different system for the Invitational Format! Day 1 will be a modified Swiss that runs for 7 rounds, with 16 players making the cut to Day 2. Day 2 will then be a 16 player, Single Elimination tournament. A full description of our new invitational format can be found here. The stream for both days will be live on the aReNGeeEternal twitch stream. We will be going live with a preshow approximately 1 hour before the tournament starts on both days! Invitational Points will lock after the final 2018 Season One ETS Weekly on Saturday, May 26th, and all invitations will be sent out that evening. These point totals are publicly displayed on the ETS Invitational Points tracking page. Players will be invited based on Invitational Points by starting with the highest non-qualified point total, then inviting players in descending order. In the event of a points totals tie, all tied players will be invited. If we end up with more than 32 players using this method, then and only then will we determine a tiebreak method. Players will be formally invited on Saturday, May 26th and Sunday, May 27th, and have until 11:59pm EST on Tuesday, May 30th, to confirm their attendance. At this time, all players who have declined their invitation or failed to confirm their attendance will be considered not to be attending, and replacements will be invited from the remaining Invitational Points players, in descending order beginning with the highest non-qualified point total. In this way, it’s possible to qualify for the Invitational even if you’re not already invited, but I don’t recommend that you rely on this method of qualification. Replacement Players will be contacted on Wednesday, May 30th, and have Twenty-Four (24) hours to confirm their attendance. Decklists for all Invitational Players are due at Noon EST on Friday, June 1st. No Exceptions. We have a $500 Prize Pool at Invitationals this year. The Top 8 get custom Inked Gaming mousepads and the winner gets a custom Inked Gaming Hoodie! The full rules for these events can be found on the ETS Rules page. Previous Post: Drafters’ Corner: Set 1 Draft Event Primer!